1. Reports on new classroom techniques, methods, curricula, evaluation technics and all types of teaching materials related to field of history education. 2. Analyses of the history of history education at local and international scale. 3. Analyses of important interpretations, leading historians, historiographical problems, history writing and methodology. 4. Critical review essays on books, textbooks, and journal articles related to history teaching and historiography. 5. 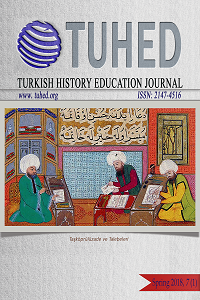 Translated re-publication of significant international articles aiming to inform Turkish researchers about studies on history education in different countries.